On the top of the World...: “Don’t just study hard, study smart”. This is the key to excelling in exams without breaking sweat. “Don’t just study hard, study smart”. This is the key to excelling in exams without breaking sweat. 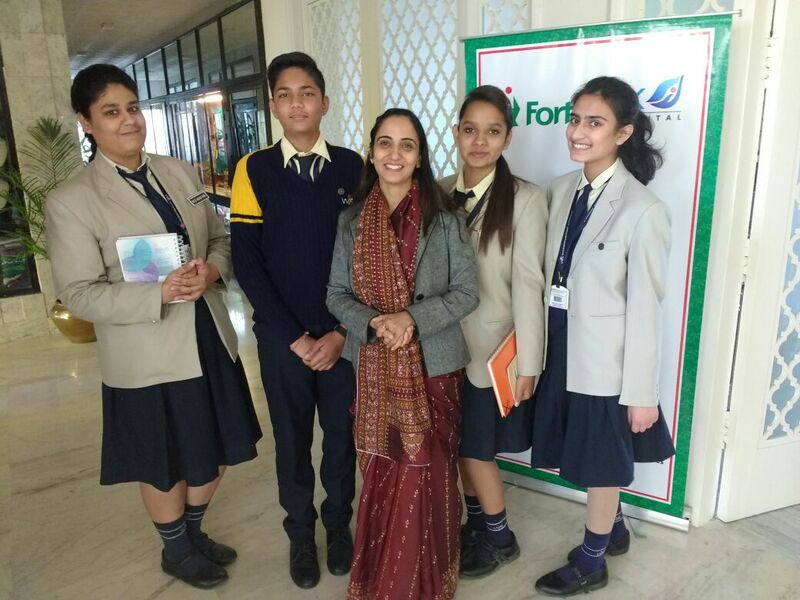 Wittians of Senior Secondary participated in “Pro- Social Peer Moderator Programme” organized of Mental Health and Behavioural Science Fortis Healthcare Limited, on December 19,2016. It was a great opportunity for students as they learnt about exam stress- busting techniques, in the form of quick guide which would help them sail through their exams, without any trouble. They also got an opportunity to work as peer moderator of “Fortis Pro-Social Programme” with this approach they will be able to not only help themselves but work as a counselor (Moderator) to help their peers.